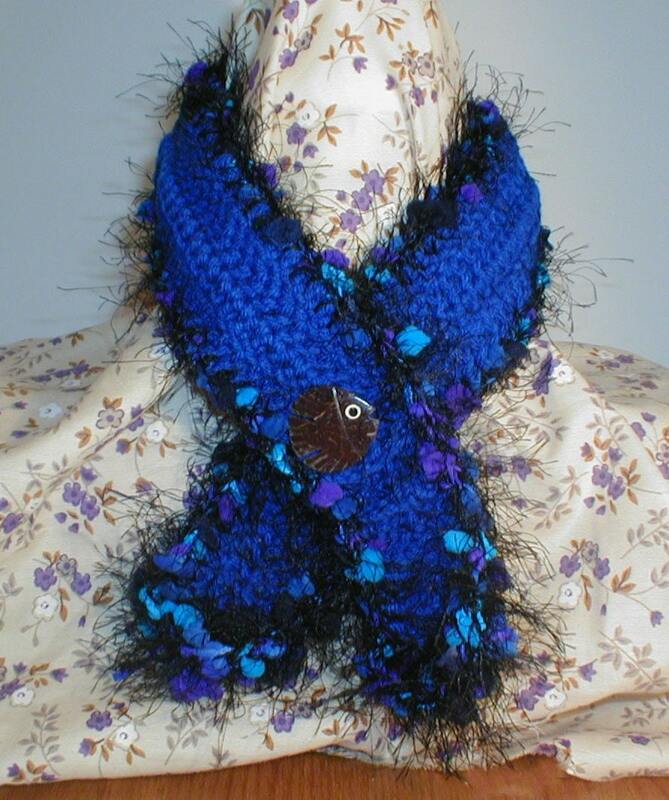 Wow the color in the blue scarflette is fabulous. Wonderful texture too! 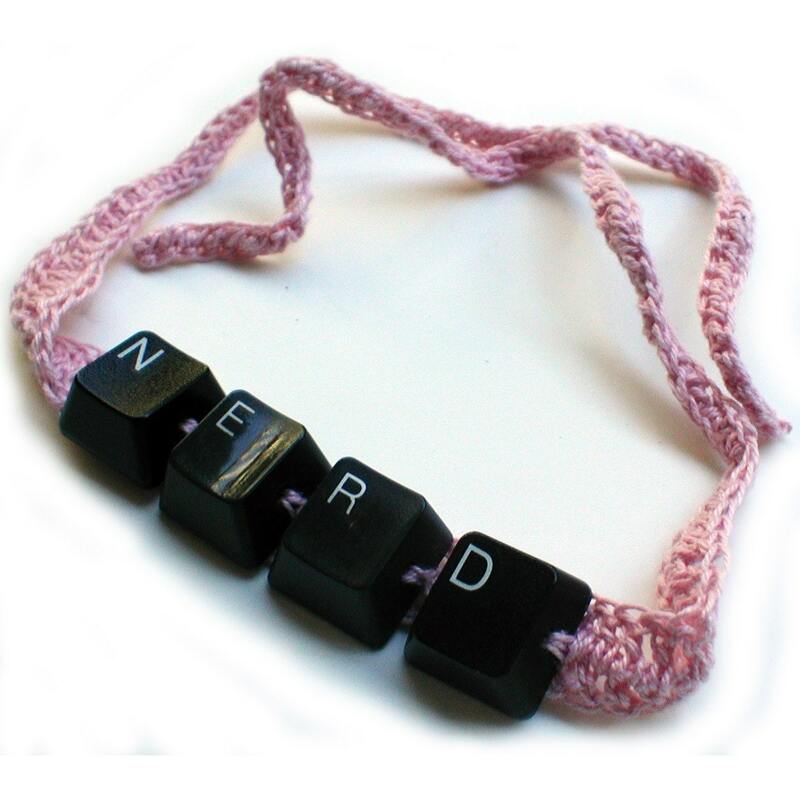 I love your crochet, and that NERD choker cracks me up!